The most-cited drivers for establishing engagement strategies and initiatives, ब्रैंडन हॉल समूह के अनुसार 2018 कर्मचारी सगाई अनुसंधान कर रहे हैं: to enhance the organization’s culture (72%), to improve overall organizational performance (66%) and to encourage teamwork/collaboration (56%). That’s good data. But it’s also completely meaningless because that is a question about why you want to improve engagement, which does you no good if you ignore the how and the who. 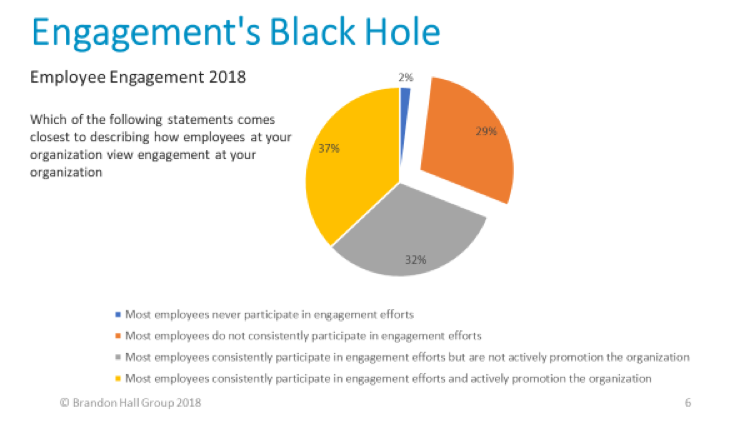 This is a big issue with engagement and it’s something I’ve taken to calling the black hole of engagement (not to be confused with the other fifteen definitions of black holes of engagement I found online). The main issue I’m seeing with even the most optimized engagement efforts is that there’s a certain section of employees who basically don’t participate in engagement efforts at all. Now whether this is because organizations intentionally or unintentionally leave them out or because they opt out, isn’t clear. What is clear is that almost a third of all employees just are not being reached, so even if you have the most well-thought-out, employee-centric, backed by Brandon Hall Group research engagement effort out there, you still could be losing a sizeable population. This can be solved in a two-pronged approach: process and technology. Next week I’ll be presenting a webinar along with iSolved’s CEO Dave Dawson on this very subject. I’ll talk about some of the process improvements that must be made (spoiler alert: you need trained coaches and a culture of recognition) and Dave will discuss how his company’s Moho platform plays a part in reaching employees who otherwise might not be included in traditional engagement efforts. 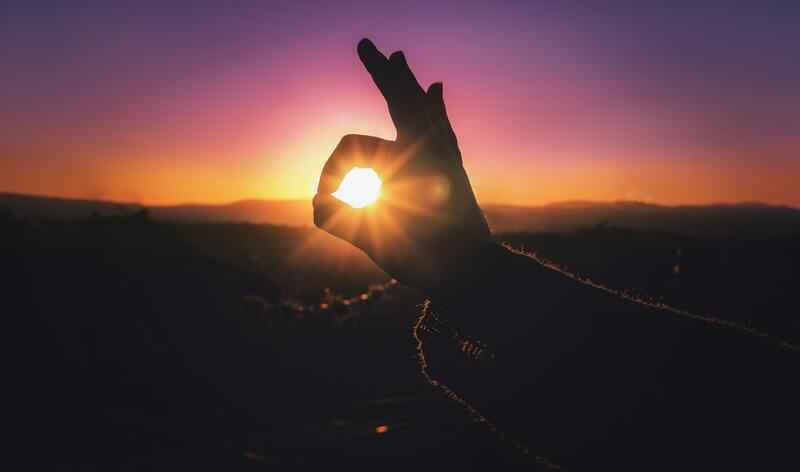 Admittedly, there is no solution that will result in every employee being completely engaged with your organization, but by learning about and following best practices in this area, at least you gave them the opportunity to do so. To sign up for the Align People, Engage Technology: Align Technology, Engage People webinar, यहां क्लिक करें. आप अपने एलएमएस पार कर दी है?